If you haven't heard of Luca, the Untern, or anti-Intern, by now, consider yourself lucky. 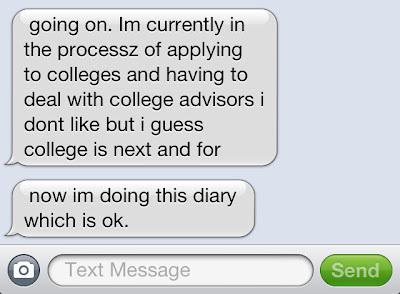 He's been texting me this "intermittent" diary about his Senior year in high school. 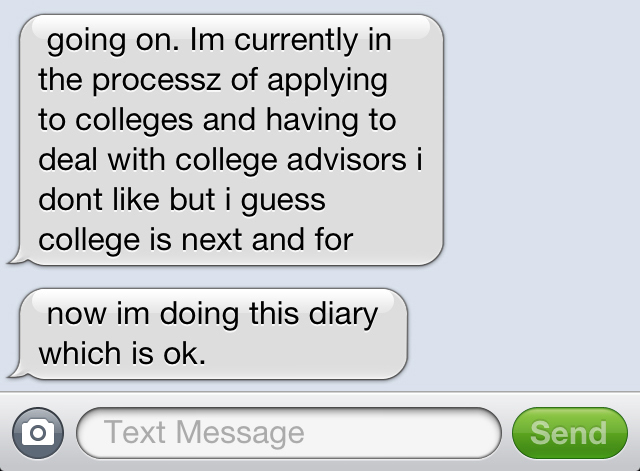 Here, for the first time, is his INTRODUCTORY ENTRY to the diary. In the posts beneath this one, we've put up some of Luca's "key shots"
that will help define his school and remind you of your own. Another Poolitzer Prize winning opus. Hey Luca, Getting girls is the easy part. Getting rid of them is the hard part! 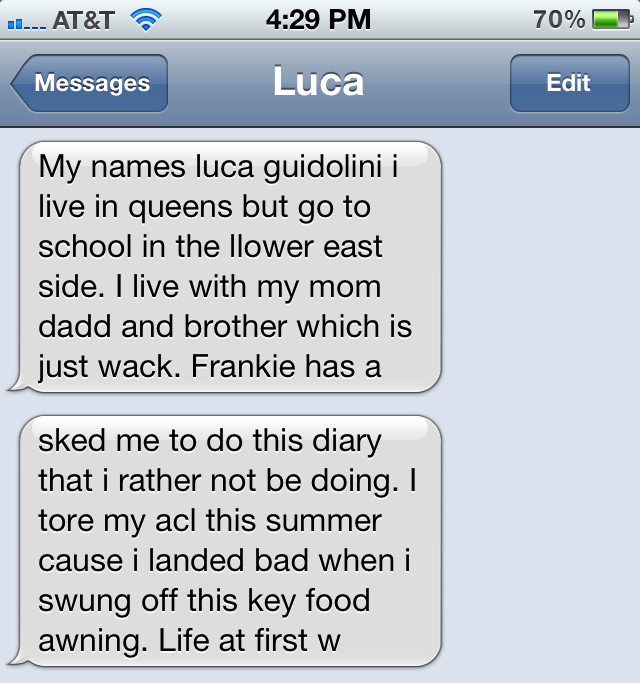 All I'm saying is that I love Luca's "processz". Word, it's an interesting challenge to say the least.